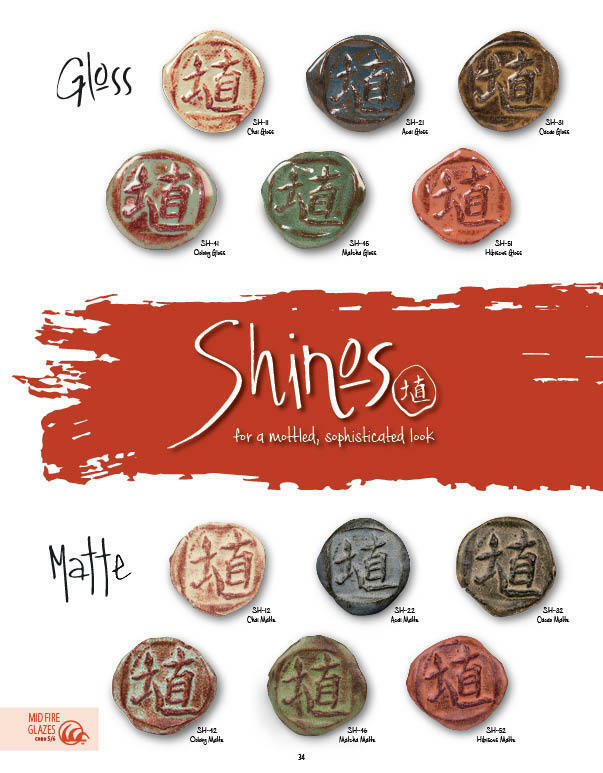 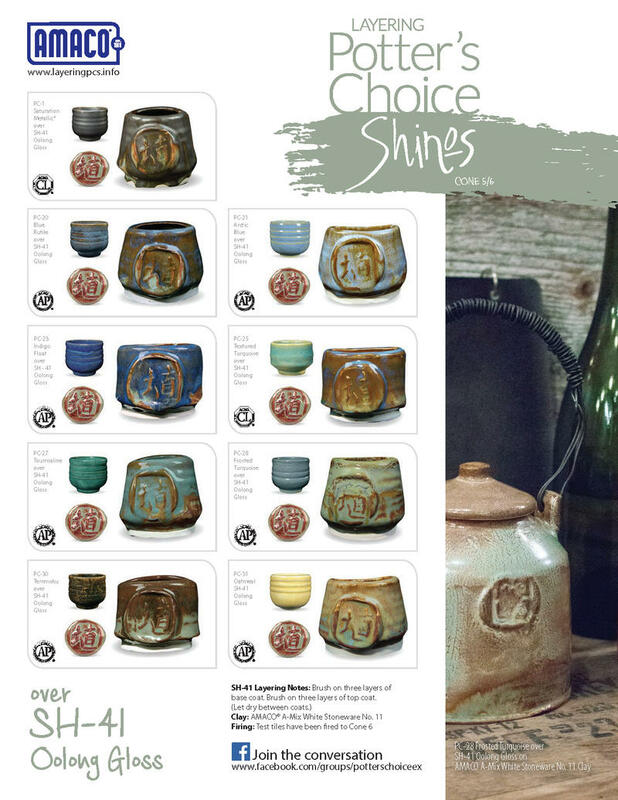 Here is a downloadable PDF of the Shino page from the 2015 Glaze Brochure. 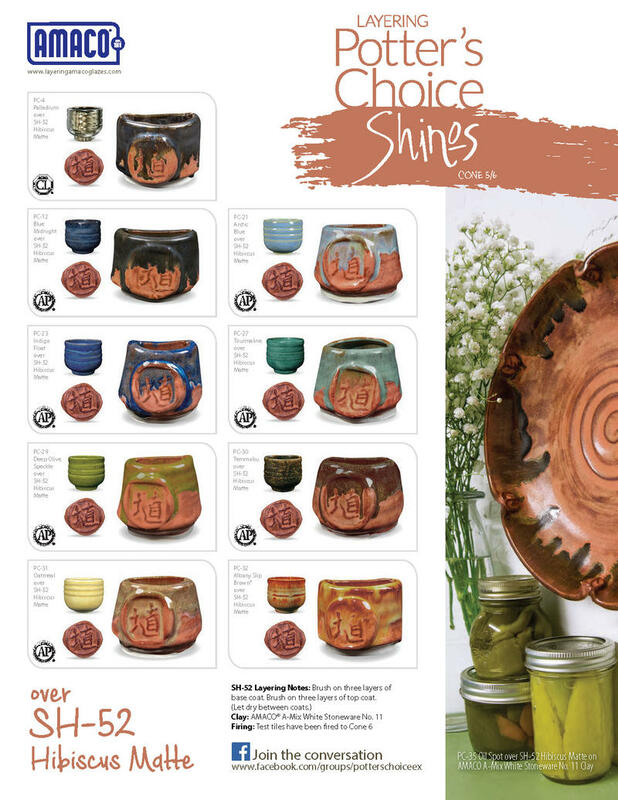 Clicking the images below will redirect you to the product page, scroll down and you will see all the layering combos. 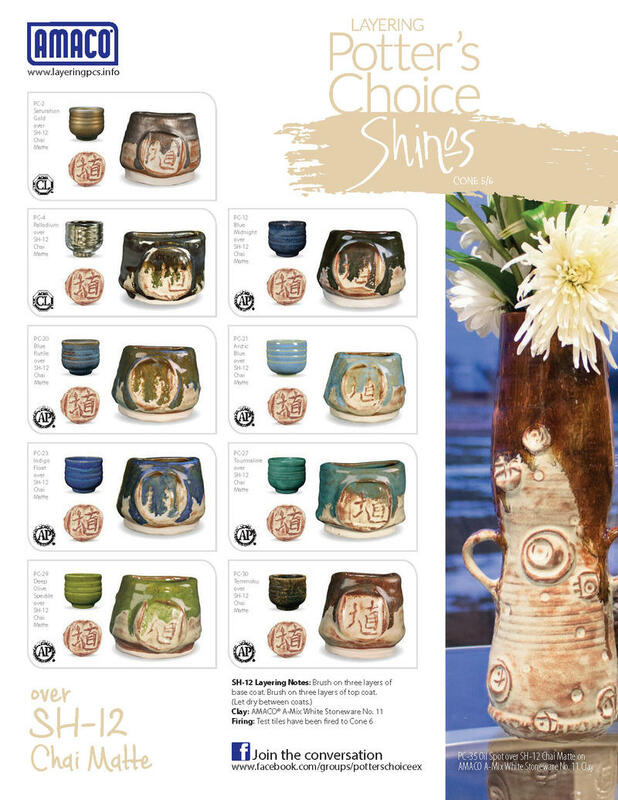 Each set of tiles has been glazed with 3 coats/ 3 coats of each glaze fired to cone 6 on our A-Mix #11 White Stoneware clay. 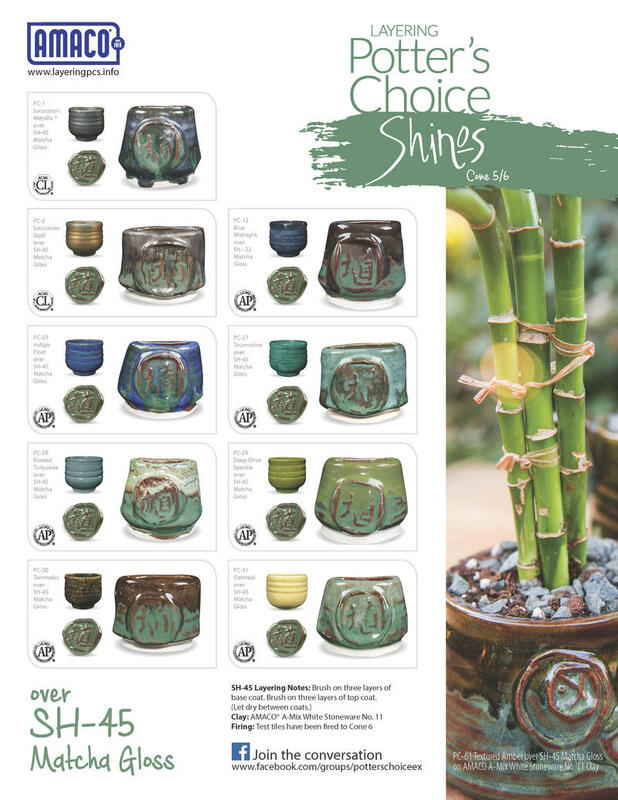 Are your Shino glazes giving you trouble? 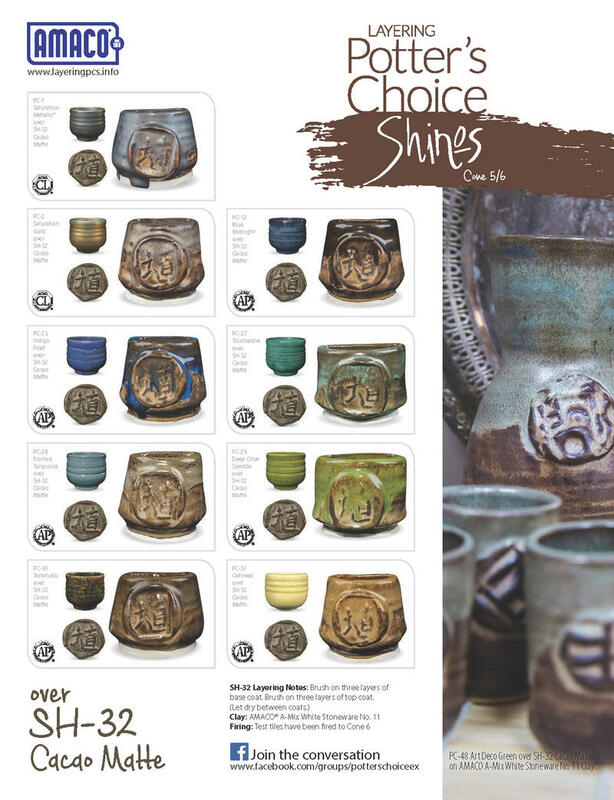 Follow along in this video while one of our tech support gurus walks you through proper glaze application for AMACO Shinos.